I'm sorry for being a bit late with the last winter collection. 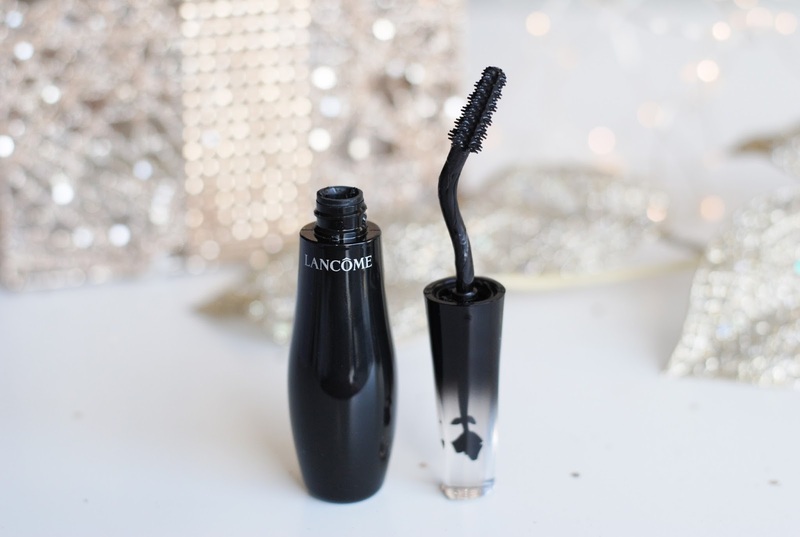 I've been very busy with the webshop and I had eye problems, so I was stalling making photos of the mascaras. 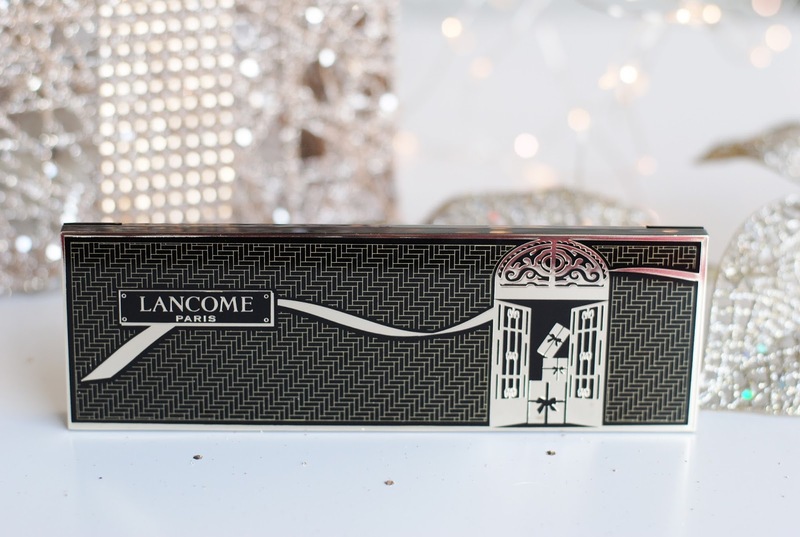 But at last: the Lancôme winter collection! Let's start with the palette, I'll tell you straight away: I love every single thing about this palette. 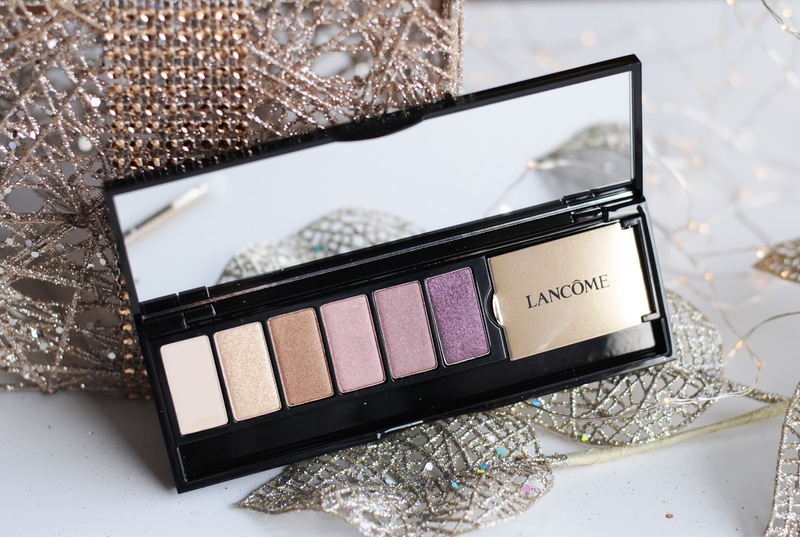 It's already one of my favorite high-end palettes! 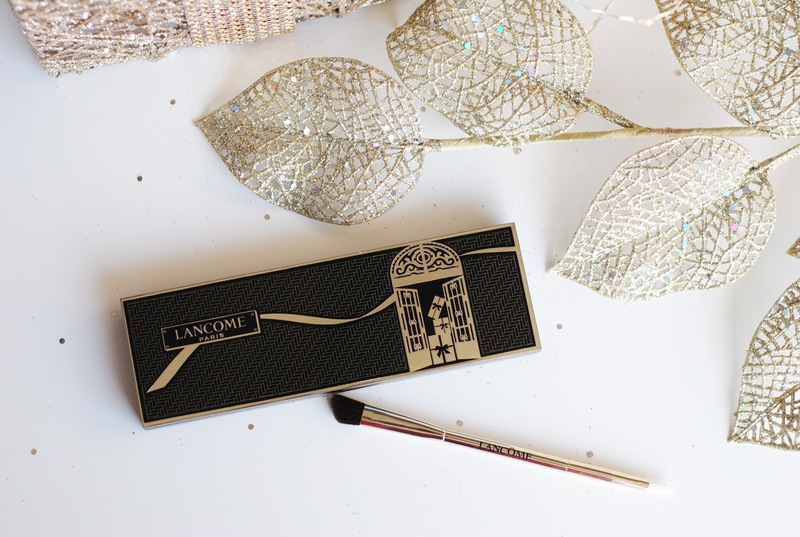 The design is gorgeous, It's based on the flagship store in Paris, 'Maison Lancôme', just as the name says: " La Palette 29, Faubourg Saint Honoré". It looks so luxurious with the gold pattern and details. Honestly, it's one of my favorite designs so far. 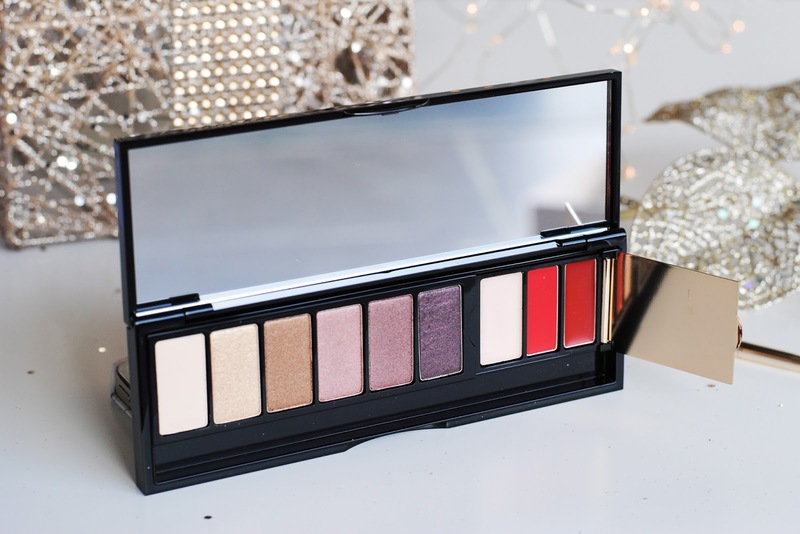 The palette has 6 colors of eyeshadow and 3 lip colors. The eyeshadows are all very pigmented, even the matte eggshell shade. The colors are well coordinated, some plum/eggplant colors and some gold/bronze shades. I use them on a regular basis, now that I have them. Also because they are so nice to work with. They're creamy, pigmented and they blend very easily. Behind that pretty golden Lancôme door are 3 lip products. The first one serves as a lip balm, but also as a primer. The other two are two pretty colors of lipstick. Normally I really don't like having a palette that mixes products, but I don't have this feeling with this palette. Because of the little door there won't get any eyeshadow in the lipstick. 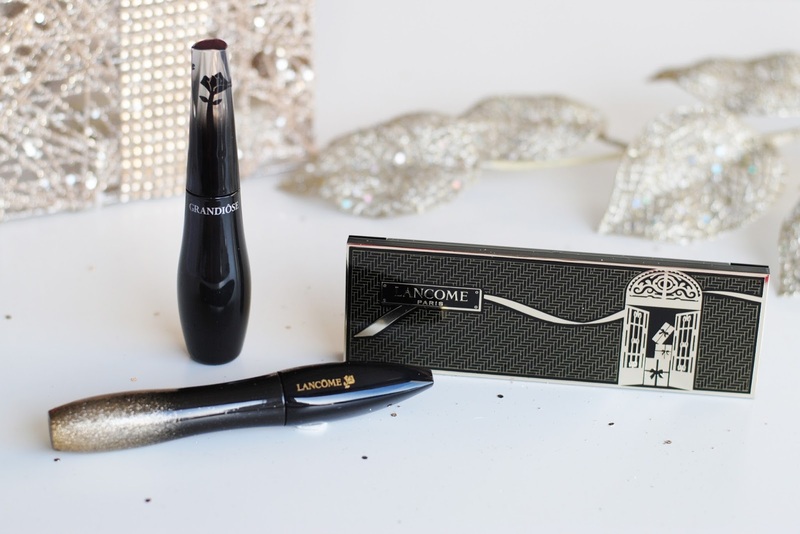 The brush also has one end that's perfect for applying the lipsticks. 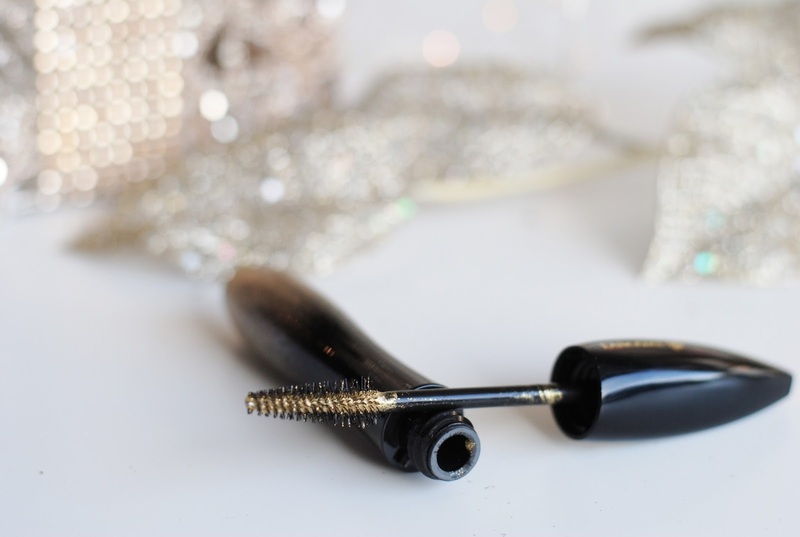 And I need to tell you all about two mascaras. The hypnôse golden top coat is perfect for a winter collection. 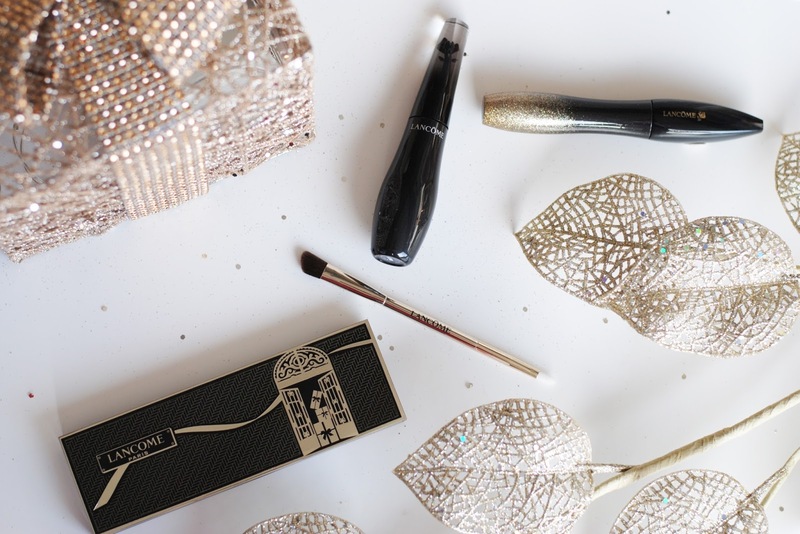 New Year, Christmas, days where you certainly can use some glitter on your lashes. 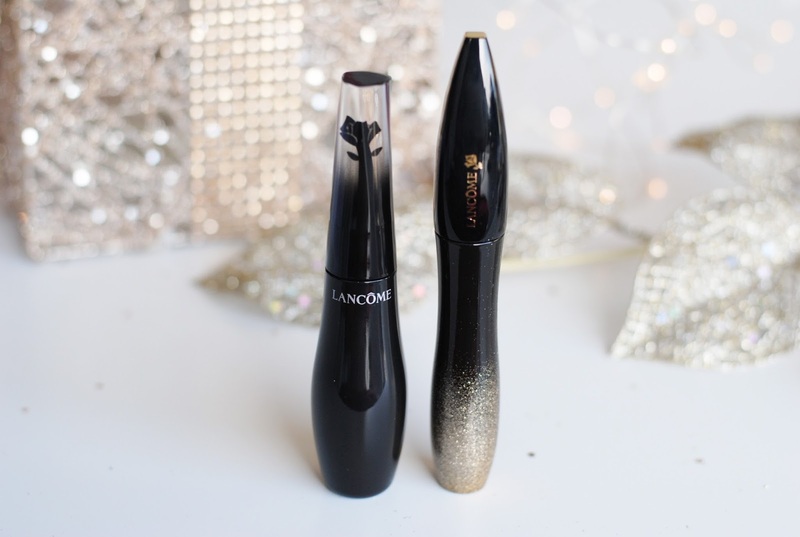 I really like the packaging, it's the shape of the known Hypnôse mascara, but with golden glitters. The mascara itself is very, very subtle. You have to pack it on a bit before you can see results. This mascara isn't actually part of this collection, it's always available. 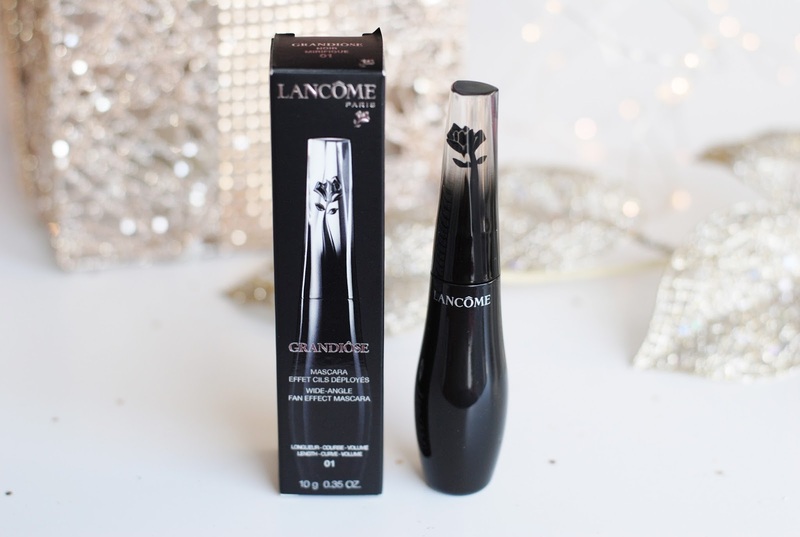 It's the Grandiôse mascara, with a very unique design. 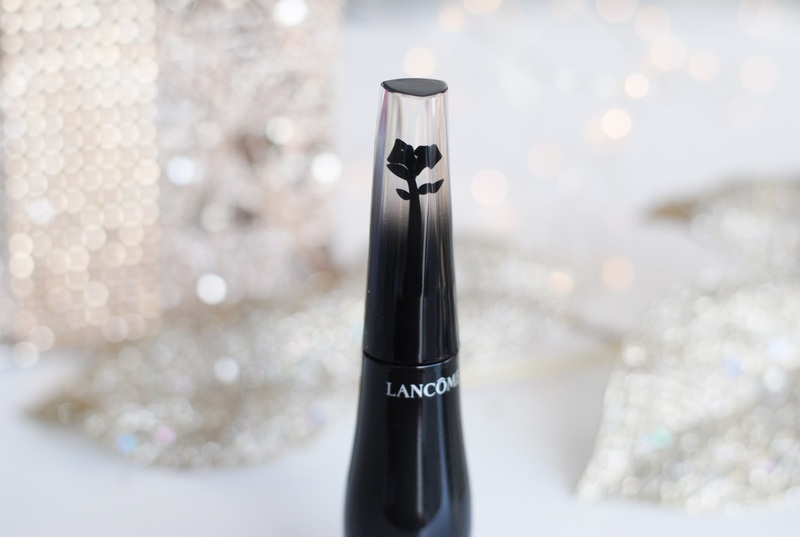 The bottle is quite big, curvy and has a rose in the clear plastic top. 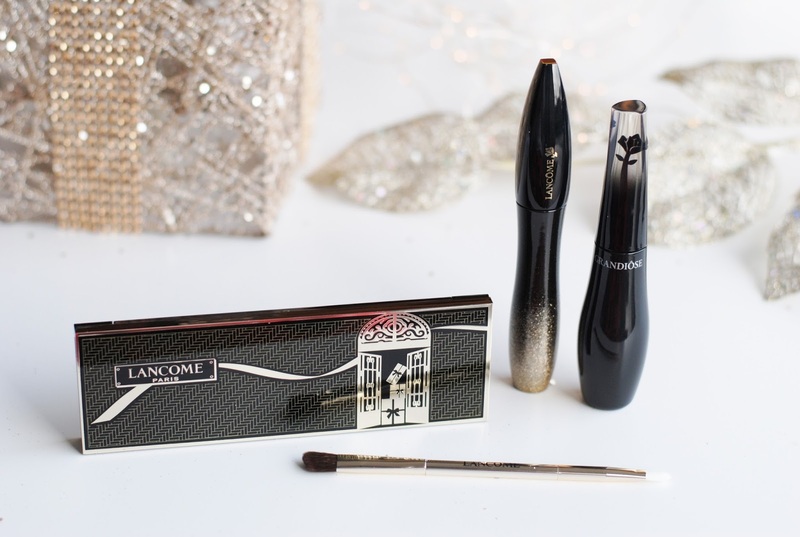 The applicator itself also has a big curve, a very special packaging! The mascara was nice. It didn't gave much curl on my straight lashes, but it did gave volume and length. I'm wearing the mascara on the photo above, but because of my eye problem, I couldn't take a normal photo. I'm sorry! I love the eyeshadow palette, if you find it in store, get it. Is definitely worth the money. I actually thought it would be twice as expensive. 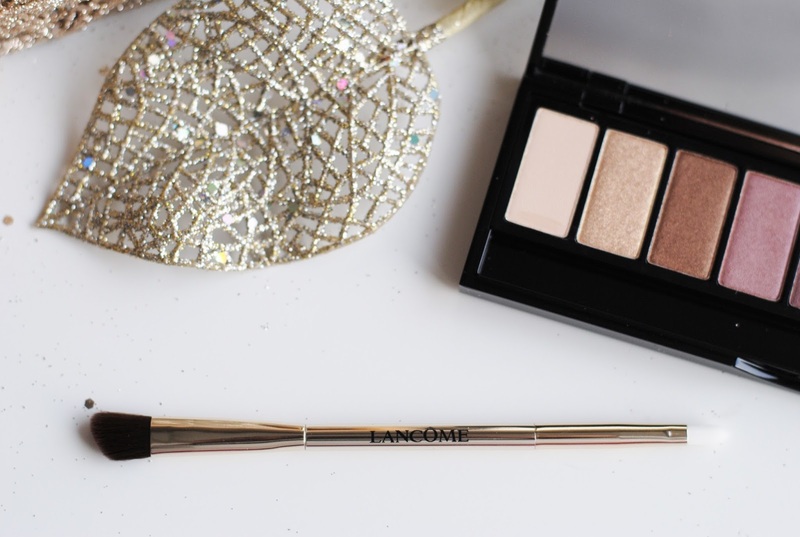 The palette totally put Lancôme on the radar for me. I'm very curious about the new collections, and I hope there will be a new stunner of a palette again. Fingers crossed! I also really like the design of the palette and the colors are beautiful too, it's just great! 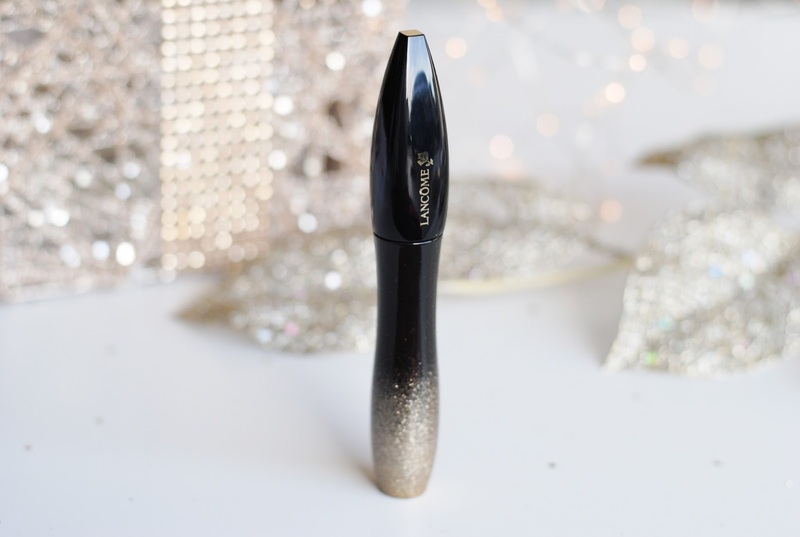 And the idea of a golden top coat for your eyelashes is really amazing! Wow wat een mooie kleuren zitten in de palette en de pigmentatie is super! Oh wauw, wat een mooie ooglook heb je met het palette gemaakt! Love it! En toevallig had ik het gisteren nog met een vriendin over de Grandiôse mascara en zij was er wel helemaal over te spreken (qua lengte vooral!) maar dat ligt altijd natuurlijk per persoon verschillend..
Wauw! 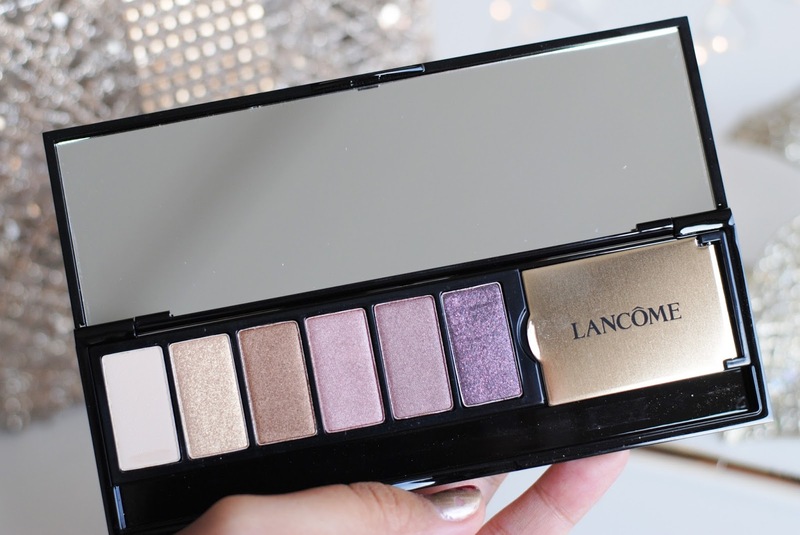 Gorgeous eyeshadow palette ;0 must have! Oeh die ooglook is pretttyyy! Mooi palet met feestelijke kleuren! De glans spat ervan af, geweldig! The eyeashadow shades are just sooooo pretty!